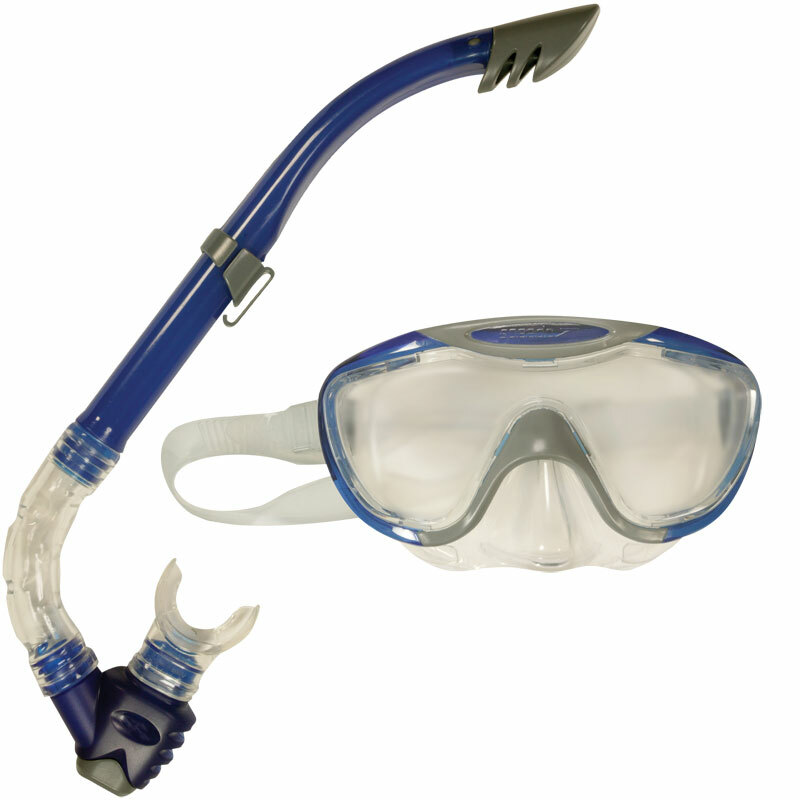 This new Speedo ® Glide Snorkel and Mask is perfect for use on holiday, the great quality materials ensure reliability, so you can enjoy your underwater adventures for as long as you want to. The mask can let water in. Need to take extreme care when fitting. At this price not expecting perfection, the valve to clear the snorkel doesn't do a perfect job, but does enough. Yet to really test it, but so far does what it needs to at a great price! On the whole a good bit of kit, although the nose piece did unfortunately leak at times, even when fitted properly. Would recommend for beginner use.